The setback in the price of precious metals have suddenly caused some analysts to wonder about the real trend. 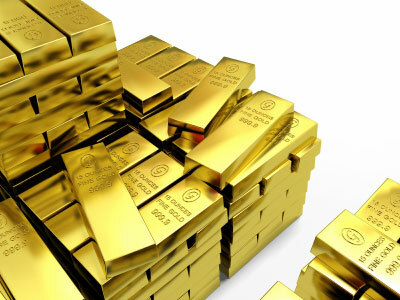 As soon as Jim Kramer, the host of CNBC's Mad Money made a recommendation about buying and investing in gold, and after Rick Santelli made a bullish statement about the metal's future, gold and other precious metals have started declining. "If Kramer has predicted it, I'll do the opposite! I think the price of gold and other precious metals will eventually return to its upward trend after some minor corrections. Even so, I consider this setback as an opportunity to stack-up some more." one bullion trader commented. Meanwhile, local pawnshops are flourishing amid the global financial crisis due to the rise on the number of borrowers desperate to raise needed cash for their daily needs. Pawnshop owners and lenders have reported that the increase of customers was due the rising unemployment and deteriorating economic conditions due to the rise of cost of living. Local authorities have again warned the public that smaller denominations such as 10 and 5 centavo coins should be spent and accepted by the local communities in order to avoid further inflation. "Hoarding or disregarding these coins means further lost to the current purchasing power of the peso and to productivity since our government allocate funds for the production and circulation of these coins." a BSP official explained.